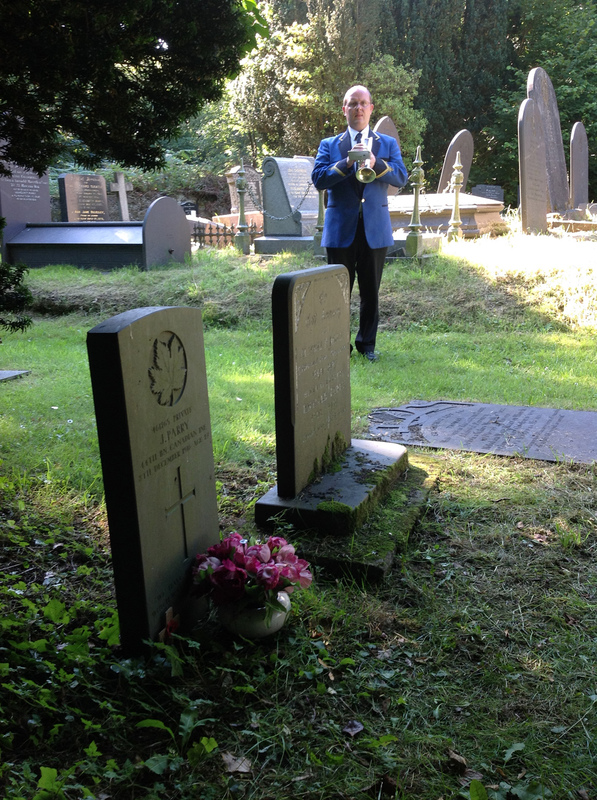 The Commonwealth War Graves Commission (CWGC) has teamed up with the Welsh Proms to encourage the British public to visit their local war graves and discover the stories behind the names of those who gave their lives in the First World War. Performers from local brass bands will be playing the Last Post simultaneously at the graves of two known Somme casualties buried in Wales, on Tuesday 19th July at 11am, ahead of the special Somme commemorative Proms that evening. Both served in Canadian Regiments and returned to the UK injured but subsequently died of their wounds. Lewington George Davis buried in Cardiff Cathays Cemetery died aged 17 and John Parry buried in Llanwenllwyfo (St Gwenllwyfo) Churchyard died aged 27. The CWGC has launched its Living Memory Project across the UK to remember the forgotten front; the 300,000 war graves and memorials in Britain from both world wars, in time to mark the centenary of the Battle of the Somme 1st July – 18th November 2016. The Project aims to encourage community groups to discover, explore and remember their war heritage – with everyone in the UK having at least one war grave three miles from their front door. A spokesman for the Welsh Proms stated: “The Battle of the Somme was one of the the largest battles of the First World War, and among the bloodiest in human history. There were approximately 1 million casualties of the Somme offensive – killed, wounded and missing. Funding and creative resources are available to help groups identify a CWGC war grave near where they live. This can be to help towards researching about some of those buried locally and to stage a commemorative event. CWGC Director of External Relations, Colin Kerr, said: “The overseas work of the Commonwealth War Graves Commission’s is well known, but here in the UK, there is little awareness of the graves and memorials to be found in a more than 12,000 locations that commemorate more than 300,000 Commonwealth war dead of the two world wars.